You are currently browsing the tag archive for the ‘Capitalism’ tag. Before Becoming Too Smugly Secular – Sheldon S. Wolin – Democracy Incorporated. As an atheist it is sometime easy to become hyper focused on what those people over there are doing wrong and how they need to fix their views and join the 21st century. Sheldon Wolin takes this view and compares it to what we have going on right now in society, rightly criticizing the capitalist-consumption aesthetic that, by any other name, is doing exactly what religion does. “There was , he [Max Weber] contended, no room any longer for occult forces, supernatural deities, or divinely revealed truth. In a world dominated by scientifically established facts and with no privileged or sacrosanct areas, myth would seemingly have a difficult time retaining a foothold. Not only did Weber underestimate the staying power of credulity; he could not foresee that the great triumphs of modern science would themselves provide the basis for technological achievements which, far from banishing the mythical, would unwittingly inspire it. Sheldon Wolin. Democracy Incorporated, pp. 12-13. So, I think it is time to work on our own epistemology. I’d like to be able to square our expectations of others with those we place on ourselves. We’ve had a few pieces on the disconnect between the public and the political process. This essay by Richard D. Wolff looks to answering the question why, despite there being two different political parties in the US, that the overall arc of the US body politic maintains the same general direction. “In short, “democracy” has been applied to societies whose political/residential sphere was at least formally democratic but whose economic sphere was decidedly not. Want to know moar, citizen? Check out Manufacturing Consent by Noam Chomsky. Driving into work today I listened to a story about how many large countries of the world had recently banned imports of Brazilian beef and chicken into their countries. Reports from a whistle-blower about cardboard being ground up with raw chicken, mixing of fresh and rotten meat and of course, chemical baths for tainted meat to hide the smell of decay. I thought to myself, what a lovely metaphor for Capitalism in general. Brazil’s meat packers export some 10.2 billion (US) dollars worth of beef and chicken to the world. Our capitalist friends and the notion that they hold would like us to think that because these meat exports are crucial to the Brazilian economy every care would be take to insure that the product being delivered to tables across the world would be of the highest quality. This would seem to point to a different narrative about meat packers goals and aspirations it goes something like this. The global supply chain for beef and chicken is quite complicated, thus actually tracing product directly back to us (Brazilian producers) will be difficult at best. Every pound of product is more profit for us, and there are quick and easy methods – acid baths to remove the tainted smell, cardboard/cellulose stock to stretch the grinds – that will significant improve our bottom line. A few people far away might get sick and/or die, but that won’t come back to bite us because of the nebulous supply chain, and thus the acquisition of profit must be prioritized. The government food inspectors must also be bribed into complicity because if they were actually doing their jobs, this second narrative could not happen. Sadly, this seems to also be the case in the Brazilian situation. “Investigators say Operation Weak Meat uncovered evidence of bribes paid to Brazilian officials, including some at the federal Ministry of Agriculture, to look the other way. Police issued 38 arrest warrants and closed 21 meat-packing facilities for further inspection. Brazil’s federal Justice Minister, Osmar Serraglio, was allegedly caught on tape calling one of the inspectors under investigation “big boss” in a phone conversation with one of the leaders of the bribery scheme in Parana state. This is the true face of capitalism, the face that we don’t learn about in school and the news. The capitalism that always places profit over people, the capitalism based on the exploitation of others, the capitalism that makes our way of life possible. We are insulated from the sharp pointy bits of capitalism, perhaps shedding a maudlin tear now and then for the exploited poor, wherever they happen to be in the world, and then moving to the next goal of material acquisition. “It is difficult to get a man to understand something, when his salary depends on his not understanding it.” ― Upton Sinclair, I, Candidate for Governor: And How I Got Licked. 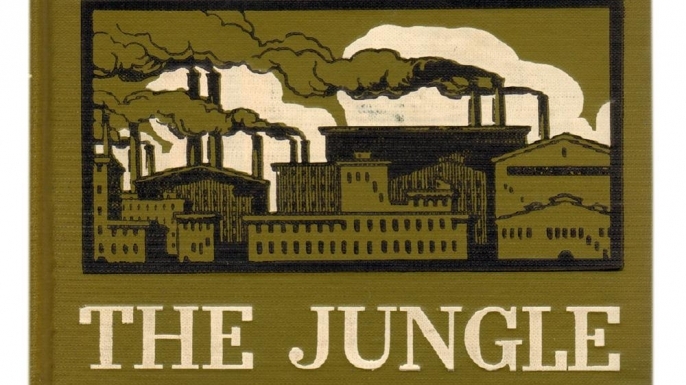 The Brazilian tainted meat situation exemplifies what is wrong with the current system and what was wrong with the state of things in 1906 when Upton Sinclair’s the Jungle was published. “It appeared as if the whole world was one elaborate system, opposed to justice and kindness, and set to making cruelty and pain.” ― Upton Sinclair, Oil!